Sometimes I fine tune my understanding of words I already knew. I sometimes try and use the word that’s emailed to me in a creative writing exercise just to get some input from outside my own brain. 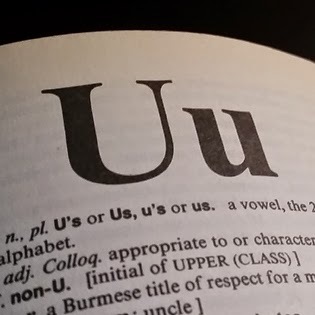 When I tried to do that with ulterior I started thinking about my own ulterior motives with my writing and how the meanings are sort of contradictory. I’ve don’t think I’ve ever withheld from anyone who asked the fact that my goals are to: firstly, write something good; and hopefully good enough to be published. But then to see that goal of publication as ulterior: remote or far away. I don’t mean to say unachievable, but on the other side of a lot of work. Because pretending that writing is an easy business, let alone an easy business to be good at, is not going to help anyone, least of all me. I need to fill my days with words, writing every day, reading when I can, paying attention, fine tuning, gaining skills. Then, with enough words and days, I’ll be where I hope to be. I just keep telling myself, don’t feel like I need to rush the publication side of things, try getting it right first, or at least close enough to right for people to see it. The rest will come at a subsequent time, hopefully.